The extra U.S. tax on $200 billion worth of imported Chinese goods would rise to 25% from 10% amid a trade war. WASHINGTON — President Trump on Wednesday tried to increase pressure on China to change its trade practices by directing administration officials to consider more than doubling the size of proposed tariffs he has already threatened to slap on $200 billion in imports. But the administration stopped short of actually making such a move, raising questions about whether it was a negotiating ploy in its widening trade war with China. A week after moving to ease trade tensions with the European Union, the administration said it would consider imposing a 25 percent tariff on certain Chinese imports, up from the 10 percent Trump proposed last month. 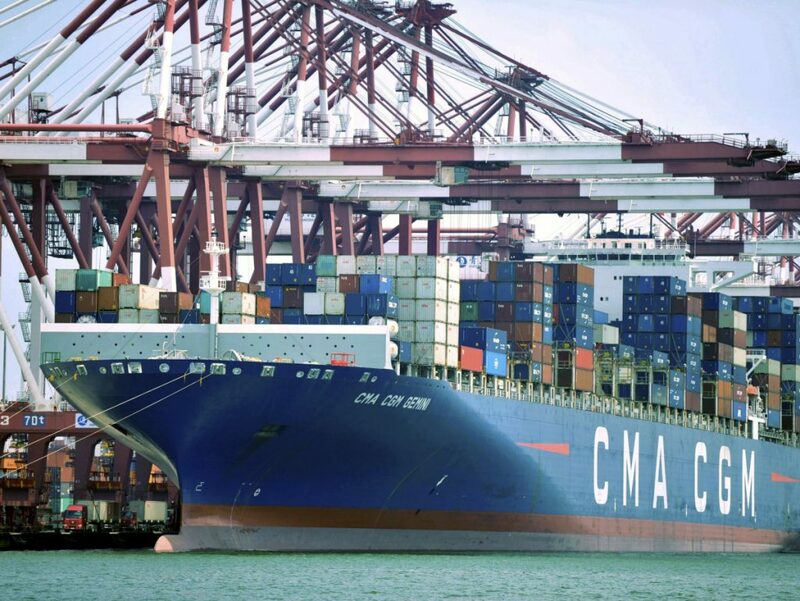 Senior administration officials expressed frustration Wednesday that China has responded to U.S. tariffs with retaliation rather than capitulation. The U.S. tariffs on $200 billion in Chinese goods – which have not yet been imposed – would be on top of 25 percent tariffs that the Trump administration already has assessed on $50 billion worth of Chinese goods. As part of that first round, tariffs on $34 billion in goods, mostly machinery and industrial parts, took effect July 6. China responded that day by imposing tariffs on the same amount of U.S. goods, largely targeting soybeans and other agricultural products. The Asian economic giant has shown no signs of backing down from Trump’s threats, and is said to be considering other types of retaliation, such as tougher inspections on American imports and delaying licensing and approvals for mergers. The review period for U.S. tariffs on the next $16 billion of Chinese imports ended Tuesday, but senior administration officials said a decision had not been made yet on when or whether to impose them. The process for enacting tariffs on the $200 billion in goods, which includes fish sticks, baseball gloves, handbags, spark plugs, yarn and hundreds of other products, is just getting started, with hearings set for later this month. Trump’s order to consider increasing the tariffs to 25 percent will extend that process into September so businesses and consumers can comment on the effect of the new level, senior administration officials said. The administration has said the tariffs would remain in effect until China opens its markets to more competition and stops what the U.S. says are unfair practices. With talks to resolve the dispute stalled, Trump is looking to up the ante. He is also betting that the U.S. could wield more leverage because Beijing cannot match the tariffs proposed on $200 billion in Chinese goods. China imported only about $130 billion in products from the U.S. last year. By comparison, the United States imported more than $500 billion in Chinese goods in 2016. Senior administration officials said Trump is open to negotiations with Chinese President Xi Jinping. Communications between officials of the two nations remain open, but still are just conversations about potential negotiations, senior Trump administration officials said. Further roiling the trade debate is the falling value of the Chinese currency, which makes its exports cheaper around the world. It’s unclear if the Chinese government is purposely pushing the value of its currency down or if that has been a market-based reaction to concerns about how U.S. tariffs could hurt China’s economy. Senior administration officials on Wednesday didn’t directly accuse Chinese officials of manipulating the country’s currency, something U.S. officials have complained about in the past. But administration officials said nations should refrain from devaluing currency for competitive reasons.